Carre & Andrew’s wedding day was one for the history books y’all! So much fun, excitement, and LOVE. I was mildly obsessed with Carre’s wedding dress and it’s endless layers of tulle, and she ROCKED that dress all day long! 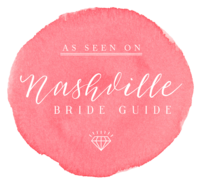 Their ceremony was at Covenant Presbyterian and their reception was at one of my favorite indoor/outdoor wedding venues in Nashville: Belle Meade Plantation. 1. Carre twirling in her INCREDIBLE ball gown. 2. The prayer before the ceremony. 3. The bagpipe player that preceded the bridal party down the aisle! 4. The super quick yet intimate portrait session where Carre & Andrew danced under the string lights at Belle Meade Plantation. 5. The cake smash cutting. 6. The glow stick exit! Shoutout to the amazing wedding vendors involved in making Carre & Andrew’s wedding day absolutely perfect! 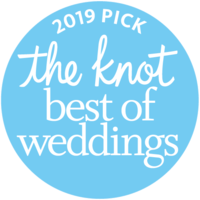 Laura K. Allen is one of Nashville TN’s “Best of Weddings” Wedding & Portrait Photographers, specializing in Nashville Wedding, Engagement, & Portrait Photography, serving Nashville, Franklin, Madison, Hermitage, Mt. Juliet, Bellevue, Brentwood, Hendersonville, Gallatin, Columbia, Thompson Station, and surrounding areas. Destination Wedding Packages available. oh wow! so many great images from this belle meade plantation wedding!! I mean I wanted to be at this wedding but I feel like I was from the way you captured it. 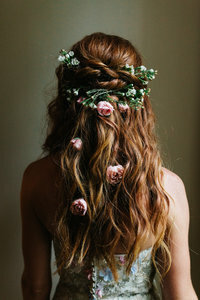 You are my dream photographer! I really hope I can book you one day! That dress does look fun to twirl in! So jealous that I got married twelve years ago, or else I would have gotten married in Nashville and chosen you as my Nashville Wedding Photographer!! Oh . my. goodness! This is such a beautiful wedding post! Seriously Nashville has the best photographer! I love all the beautiful details and the way you tell the story! Wow! Laura! You really have outdone yourself! Beautiful beautiful work! Obsessed with your work. I’m convinced you’re the best wedding photographer in all of Nashville. When I get married, I’m having my wedding in Nashville just so I can book you. This wedding seriously looks like it was the most fun event ever! I literally was smiling and laughing along with all of the reception images and wishing I could have been there! Every single time I look at your images I fall more in love with your style of photography and your ability to absolutely rock the flash at the receptions! Laura you are absolutely the best Nashville wedding photographer I’ve ever seen!